I read A Man Called Ove a few years ago. I was down to the final hundred pages or so and couldn't put it down. I told my husband to take over dinner, I had to finish my book. Since then I've read all of Backman's novellas and a few of his other novels. Then, I read Beartown and did the exact same thing. I've never been so powerfully immersed in 400 pages in my life. The thing with Backman, is that he has this magical, yet incredibly real way of writing stories that feel as if they're completely alive. I live for stories like this. Writing like his is the definition of "books that make you feel something." The atmosphere is less about place and more about the people, but it's beyond invoking. He writes sentences that start in one part the story and circle back around, and you'll find yourself re-reading them and just wondering how. How can all this come from one person? How did this story come to you? I find myself yearning to know everything, how it all came to be. Then I want to read it again! For people who have read Ove and other Backman novels up to Beartown, I've heard don't like Beartown (you can read the description here). Spoiler alert: it's not like his other books. You can't finish Ove and have all these warm, fuzzy feelings, and expect that to carry into Beartown. But like all of his books, there's a heavy central theme or event and it navigates the power of working through that with those around you. Beartown and Us Against You are dynamically layered, passionate, and even though it's centered around hockey, don't let that fool you. We all love The Mighty Ducks! How exciting, then, that Beartown has a sequel. The highly anticipated Us Against You, is released today (you can read the description here)! The awesome perk of being obsessed with books and apart of the Bookstagram community, is getting to read books before they're officially released. We can't thank Atria Books enough for sending us a complimentary copy! And honestly, thanks for believing in Ove and picking up all of Backman's books over the years! After Beartown and Us Against You, you can't help but carry the story... the characters... the atmosphere with you for a long while. It's powerful. Even if you feel the story is a little slow to start, maybe some redundancy even (none of which I personally felt afflicted by), you'll find yourself wanting to laugh and cry and root for the characters you love most. There's a slow build, but a huge pay off, as with most all of Backman's work. You'll be holding your breath, wondering what happens next. You get completely sucked in and don't even realize it until you come rushing out and gasping for breath. And unlike any book that's full of struggle and redemption, the endings are never what you expect. 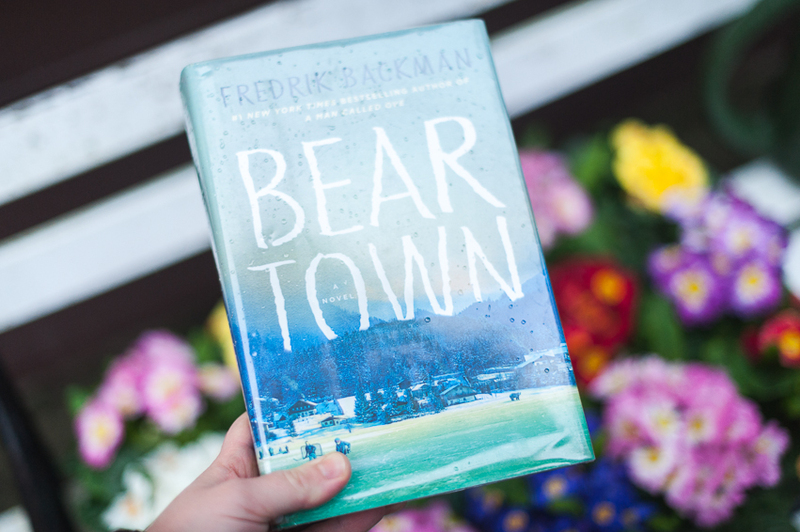 If you've never read any Fredrik Backman novels, start with A Man Called Ove and work your way through the others to Beartown, My Grandmother Asked Me To Tell You She's Sorry and Britt-Marie Was Here. I particularly loved And Every Morning the Way Home Gets Longer and Longer. If you've read his novels, then you're in for a treat. I cannot wait to see what he writes next!